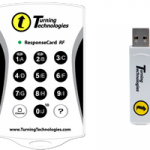 Ubievent provides state of the art, user-friendly Voting Keypads equipment in the UK allowing you to truly enhance audience participation, obtain audience insight through feedback, and ensure that key themes are conveyed clearly in your meetings. With over 20 years experience in the UK, our voting systems have been utilised by prestigious organisations such as Institute of Chartered Accountants, Linklaters, Glasgow Taxi to name a few so rest assured that you will receive an exceptional service with regard to audience participation. Our Voting Keypads are user-friendly, ultra-light equipment and are 100% compatible with Microsoft PowerPoint. All our Voting Keypad devices are owned and maintained by Ubiqus UK. Therefore our technicians are familiar with the devices and their set-up. They can ensure that there is absolutely no interference with any other device at your event. You can expect to have a worry-free smooth running service from Ubievent. Why use electronic voting systems? Our service: No matter what your event, we start by listening. Our experienced account managers will identify your meeting requirements quickly and efficiently. They have a well of wisdom and happy to with clients. They always look for ways to help you plan your event as compliment your existing request so that you have best service possible. Our equipment: Ubievent voting keypad Systems couldn’t be more user-friendly and are 100% Microsoft PowerPoint compatible enabling our technicians seamlessly code with your presentation. At your event, our technicians run the entire system during your Q&A session leaving you completely worry-free!